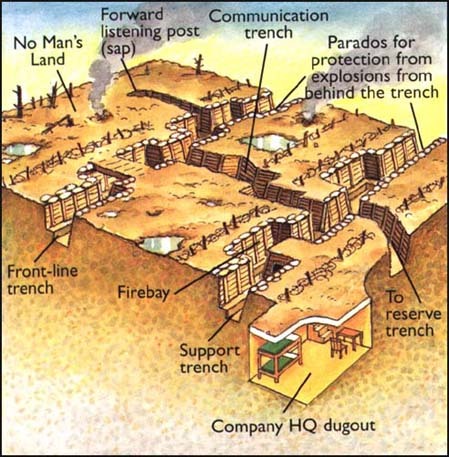 Due to the lack of logistics and the complexity of technology, that feeds large artillery and fuel for mobile weapons like Tanks, I believe that in a post SHTF scenario, Bunkers and trenches will become of the utmost importance for fortification. The fact is, the only way that trench warfare was overcome, was by the use of tanks and that no major gains were made in WW1, speaks to its effectiveness. 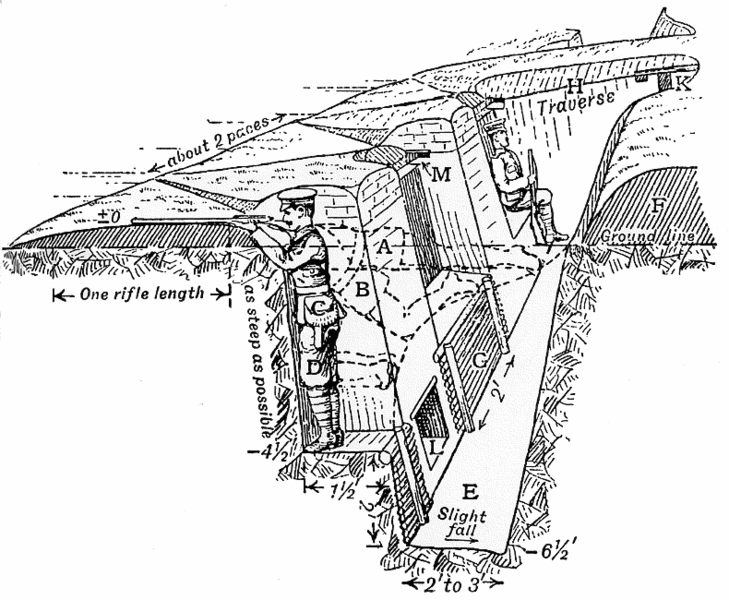 The front trenches were basically the largest “Castles” ever constructed stretching for hundreds of miles. Even in ancient times romans built trenches to some degree, although these were in front of the fortifications that they built each evening when on the march. 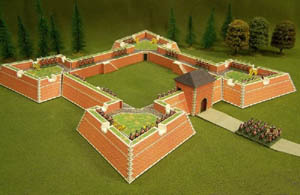 At the advent of firearms and artillery star shaped fortresses were the next step allowing for fire positions, the shape allows for mutual covering fire . What i predict will happen is that, as firearms become scarce, walls will once again rise and wire for fences will have other more useful uses and that we will revert more to the moat and Bailey style castle as time progresses. until effective artillery and processes for producing weapons are reestablished which may take some time.